Home › Uncategorized › Trials! This photo is a reminder of many families that had a hard time during the winter. Many of them have not had enough money to by wood for the stove, to heat up the house. And even they had some, they was not able to warm upp the house properly, so many children had to sleep with theircoats on. In Friends House we been lucky to have good heating, but to great costs. due to rising prices on gas and electricity. 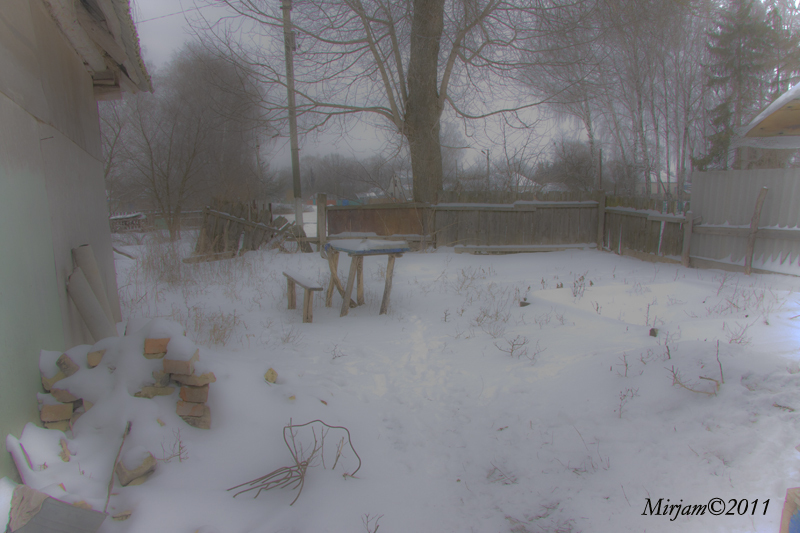 Winter is now behind, and spring is here, yesterday we had plus 14 C , and all snow is gone. Information taken from the Web site of the National Forum of Trade Unions of Ukraine (NFTU). Many families have difficult even today, to manage their livingcosts. Kiev Post, the English speaking newspaper in Kiev had an article about daily life in Ukraine. They made a test among five voluntary people . Their task was trying to manage to survive on 30 Grivna, ( 2,90 Euro, 3,70 USD ) per day, only one made it. They all told that living on such little money is just paralizing, it is not life. To have food was the priority, if your shoes needed repair?, well it have to wait, if you need medicine????? These money 30 Grivna a day equals the minimum salary for a month in Ukraine. 900 Grivna per Month. Prises have already started to rize, and more is to come! Salaries, are still at the same level as before. The Spring maybe lights up people !? ‹ The Playroom, a fun place!